If I could go back to India, the place where I will definitely see again is the Nehru Planetarium. 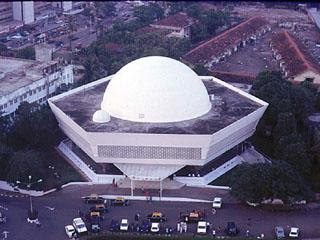 The Nehru Planetarium is another major attraction I had visited on my Mumbai travel. I had enjoyed the very educational and amazingly beautiful shows in the sky that I want to go there again someday. The air-conditioned sky theatre has a dome-shaped screen made of fibre glass with 26 curved segments and one million hand-drilled holes for clear acoustics. The sky theatre with a capacity of seating 270 people is essentially meant for screening taped and live public shows on various aspects of astronomy. Inside, various cubicles estimate your weight on each of the nine planets of the Solar System while in the domed interior; daily shows uncover the timeless mysteries of the cosmos. It recreates an image of the sky as seen from anywhere on the earth, at any time- past, present or future. Some of these include our cosmic heritage, the solar system, Halley’s Comet and the life story of a star, the famous sky theater show 'Hide and Seek in the Sky'. The Planetarium is currently running the 31st sky theatre programme "AWESOME UNIVERSE”. So awesomely amazing. No wonder everyone, adults and children love the organized taped shows on topics that is of interest to the general public that is why it is on great demand. In the centre of the theatre is a well, housing the Carl Zeiss Spaceflight Master projector placed on a hydraulic lift which enables it to come up during the shows. The gallery around the sky theatre helps in locating the slide and special effects projectors. Besides the sky theatre, the Planetarium also has an exhibit area that displays many interactive models and pictures. Visitors have the rare privilege of looking at the historic space module Soyuz T-10 which carried India’s first cosmonaut Rakesh Sharma, to space along with his space suit and mission journal. Event-based photo exhibitions are also mounted from time to time. In the meanwhile, the technology marched at a growing space bringing new ideas and means. To keep abreast with the new technology, Nehru Centre has installed Digistar-3 Planetarium equipment replacing Carl Zeiss Universal Projector, purchased from Evans & Sutherland, of USA. This new equipment is basically a bank of eight computers that have the latest database of the sky loaded onto them. 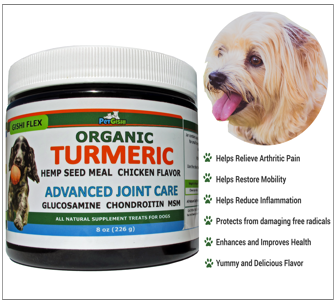 All the advantages of digital imagery are thus brought to the fingertips of the operator. The computers send the information to six high-resolution video projectors that cover the entire dome. Digistar-3 system has 5.1 channel surround sound. Isn't that an amazing experience?